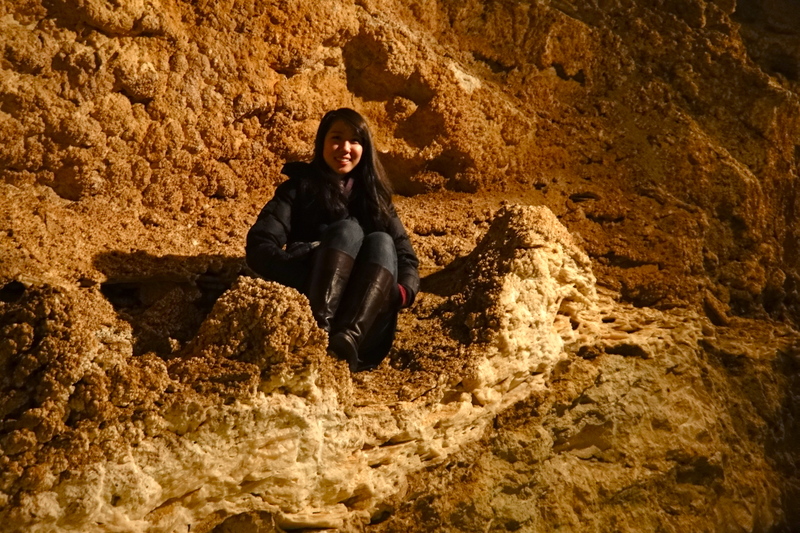 There are countless caves hidden within the hills of Buda. 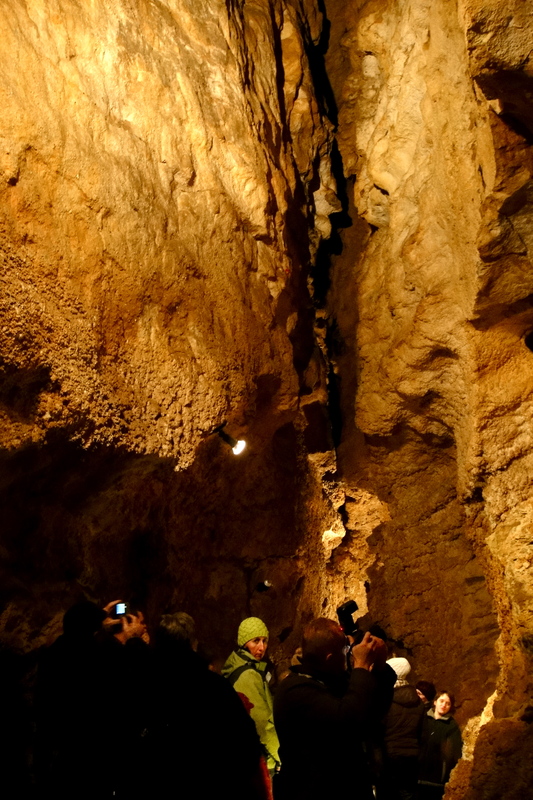 To put it into perspective, Budapest is known for one of the most concentrated areas in the world to find natural caves–there are almost 100 in the greater Budapest area. Most are located under residential districts, and many were even utilized during war as hospital corridors or escape routes. 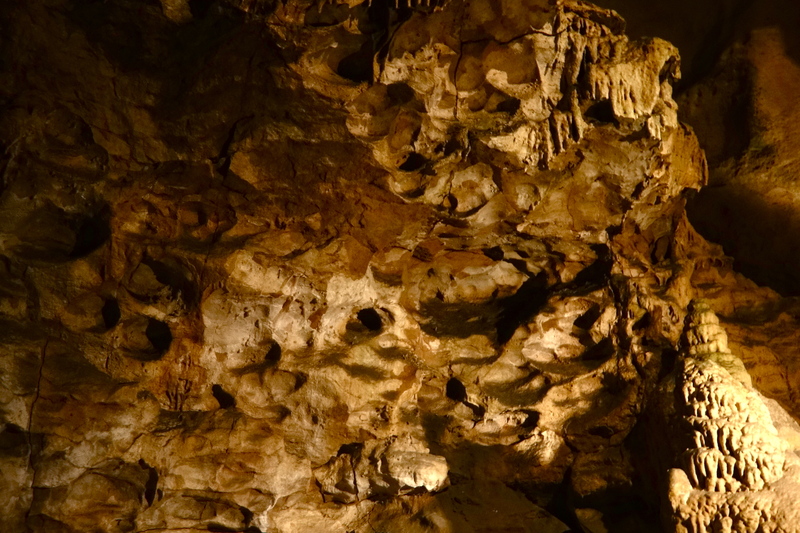 The first cave we explored in Hungary was the Szemlőhegyi Cave. It was a relatively short tour, and super easy to navigate. Most of the tourists were families with young children. It was hard to pay attention to the guide because she only spoke Hungarian and we didn’t understand a word. It definitely would have been assuring to know what was going on when the guide suddenly decided to turn off all the lights in the cave to show us how opaque the darkness is. (And even more unfortunate that I was wandering off on my own at this point..I definitely had to stifle a scream.) Overall, the views of the caves were beautiful and it gave us a taste that sparked our curiosity for some more exploring. 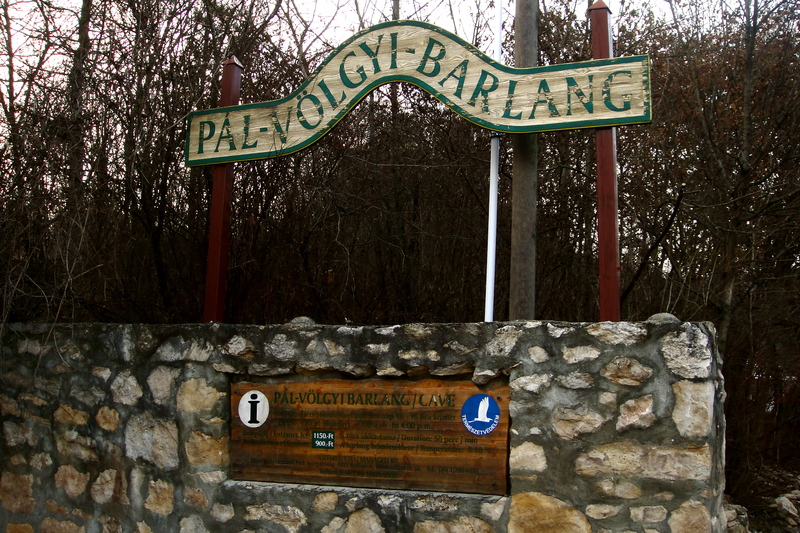 So, to satisfy our eager spirits with more of a challenge, we decided to explore the Pál-völgyi–Barlang Cave as well, which was about a 20 minute walk away from Szemlőhegyi. The Pál-völgyi–Barlang Cave is the longest in Budapest, at about 29 km long, and is the most famous as it is admired for its fairytale-like stalactites and rock formations. The guide for this cave was bilingual so we were able to learn a lot more! The caves of Budapest are hydrothermal caves, and there is evidence of this everywhere you look. 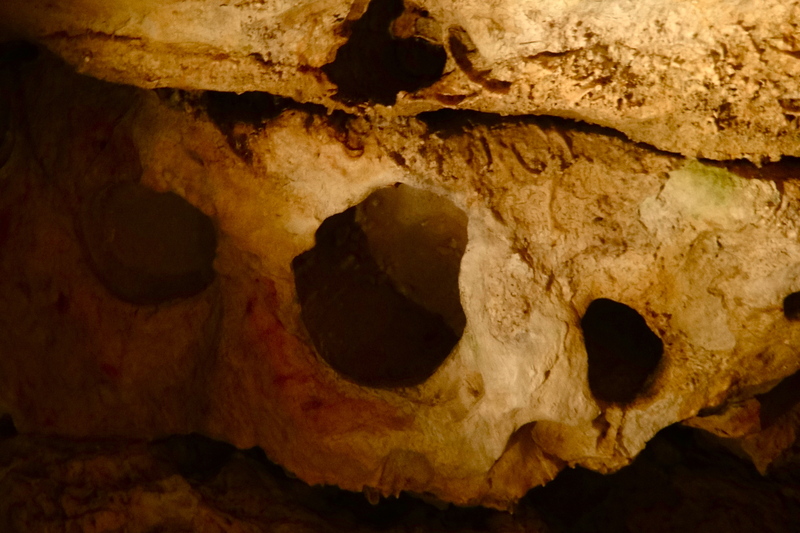 There are deep, spherical impressions along the ceilings of the cave, which were created by trapped bubbles. There are even fossils of shells along the walls! This cave was much more intense than the first. 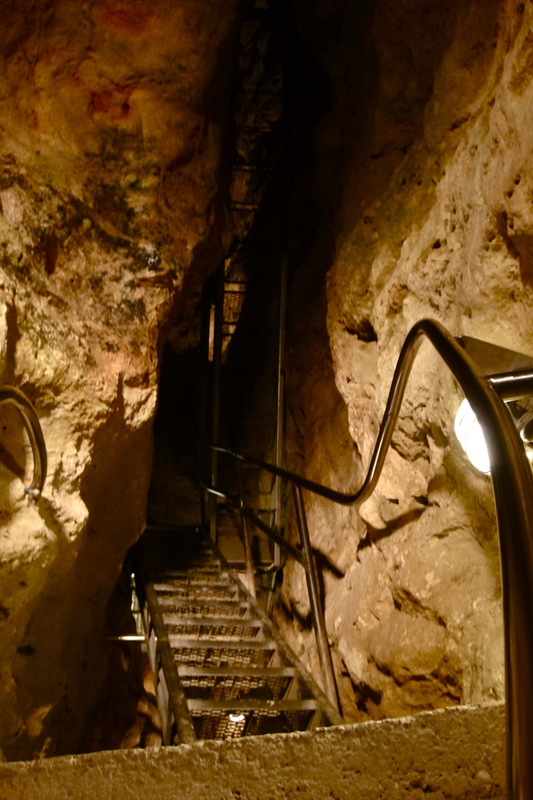 The pathways were much more narrow, and at one point we were about 7 stories deep into the cave, and had to climb ladders and many flights of steep stairs to get back to the top. We even saw multiple bats!! At one point I saw a dark formation resting on the wall, and I peered closer to examine what kind of peculiar-looking shell fossil it could be, only to realize it was a sleeping baby bat!!! I’ve never seen a live bat before, especially not 3 inches away from my face, so I was definitely caught off guard. (“Caught off guard” meaning that I screamed and scrambled to climb up the stairs as fast as I could.) The guide found this to be pretty hilarious and right before we left the cave, drew me closer to show me something, only to shine her flashlight on yet another bat!! I was scared the light would wake it up, so I pulled on the hoodie of my coat and ran the rest of the way out of the cave. Here is a quick video to give you all an idea of what it was like to walk through..